6:00 pm – Doors open. Enjoy light snacks off the grill and feel free to BYOB! 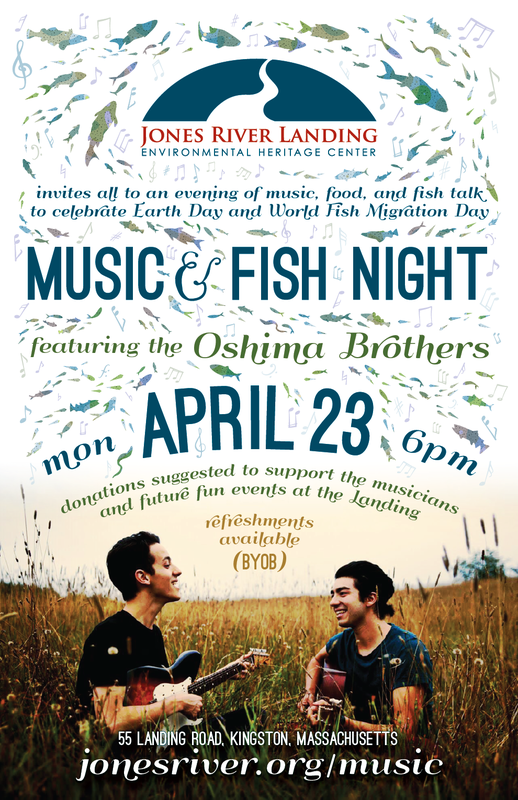 6:30 pm – The Oshima Brothers will perform an infectious set of their harmony-rich blend of contemporary folk and acoustic pop. (More about them below). 7:15 pm – The American Shad in Local Massachusetts Rivers with Guest Speaker, fisherman, and author Joe Danubio, who will lead a discussion about the biological habits of the American shad and tactics on how to catch the American shad with a fly rod. (More about the talk below). 8:00 pm – The Oshima Brothers 2nd set! As a special for Earth Day, Plymouth Solar Energy will be bringing a “Solar Flower” to power the music! In the meantime, our annual volunteer fish count is now underway until June 2nd – sign up today! Every April, various migratory species of fish embark on an expedition from the ocean into the local rivers, brooks, and streams. After traveling through the various ocean tributaries, the migratory species reach their final destination, the spawning grounds, where they complete their reproductive purpose for their existence and insure the survival of future generations. One of these species is the American shad. Joe Danubio will be leading a discussion about the biological habits of the American shad and tactics on how to catch the American shad with a fly rod. Much of the focus with revolve around the existence of American shad in the Indian Head River in Hanover/Pembroke, MA. The Indian Head River boasts one of the more robust populations of American shad for Massachusetts coastal estuaries. 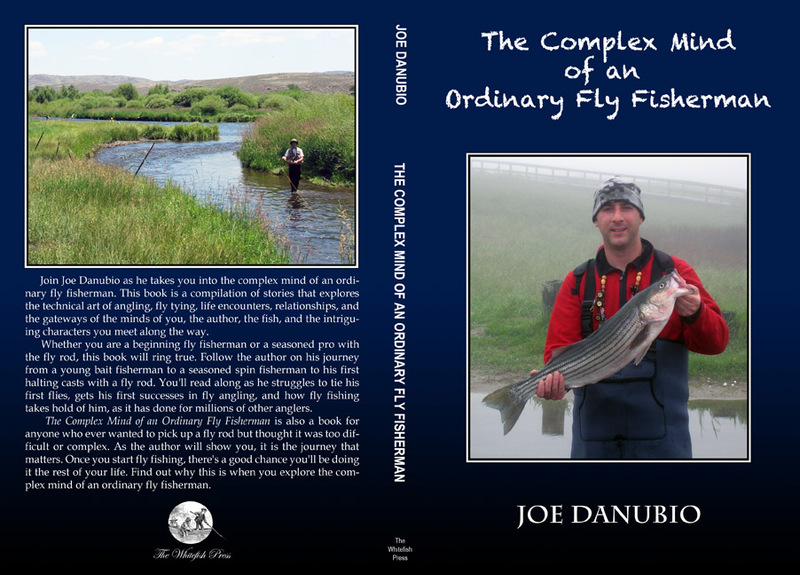 Joe Danubio is a local fly fisherman, winner of the Second Annual Cheeky Schoolie Tournament for striped bass on the Cape with a fly rod, and the author of The Complex Mind of an Ordinary Fly Fisherman.